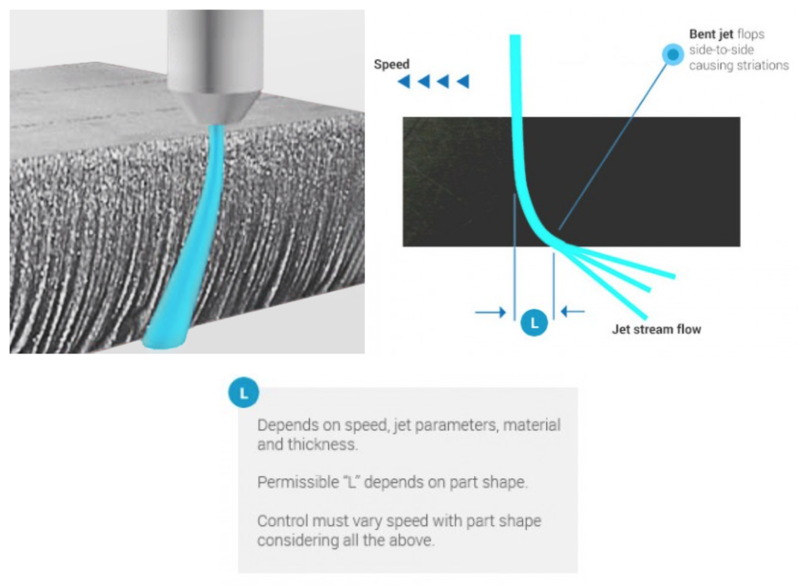 Waterjet cutting is the process where by a jet of water traveling at ludicrous speed (produced by putting water under high pressure and forcing it through a small orifice) cuts through materials by eroding the material away at the point of contact. The cutting effectiveness is often increased by the addition of an abrasive compound to the jet stream. This is typically used for harder materials such a metal and stone and is commonly called abrasive cutting. A typical waterjet cutter will operate between 300 MPa (40,000 psi) – 400 MPa (60,000 psi). At 300 MPa the water jet can exit the nozzle at Mach 2 (680 m/s) and at 400 MPa it can have an exit velocity of over Mac 3 (1,021 m/s). At these speeds the water has an intense amount of focused energy that gives it the capability to cut through a variety of materials and when you add the abrasive compound to the jet stream then the abrasion rate increases tenfold allowing you to cut thick, hard materials without losing accuracy. Common waterjet machines will cut in 2 dimensions (X and Y) to create flat pattern parts. It is common for waterjet machine shops to accept a job request in a .DXF file format as they are 2D files and easily convert into a machine tool pathway for the waterjet cutter. Pure water cutting is primarily used for cutting soft materials such as rubber, foam, gasket, leather, textiles, and food-related items. For your hard materials that cannot be machined with water alone, the nozzle is often switched out for an abrasive cutting nozzle, which includes a mixing tube. The high velocity waterjet creates a vacuum which pulls the abrasive into a mixing chamber producing the extremely energetic abrasive jet stream. This process is ideal for cutting intricate patterns in sheet metals, composites, stone, synthetic ceramics, glass, etc. 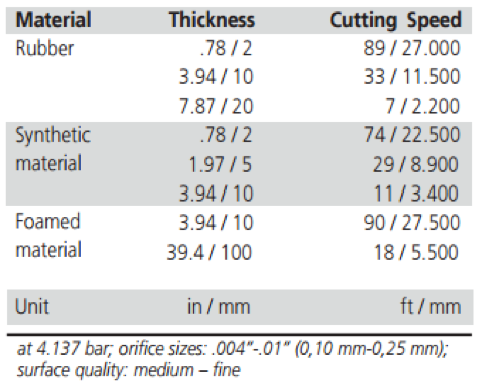 The cutting speeds vary per the material being cut, its thickness and desired edge quality, but in general the cutting speeds can be approximated in the tables below with the cutting speed being measured per minute. In general, almost any material can be cut by a waterjet eventually from foam to tool grade steel, which is what makes this process so versatile and is why it is used in almost every industry. 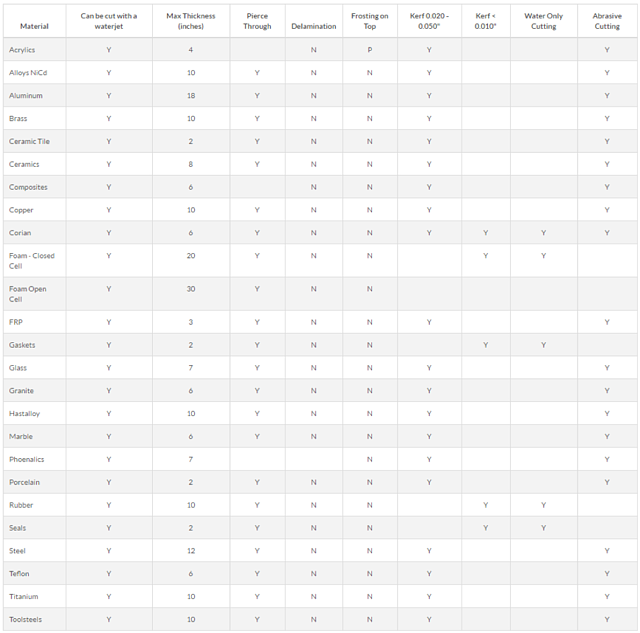 Its limiting factors tends to fall within the category of material thickness as some materials have special characteristics that need to be considered before cutting. Below is a general outline some materials and there limiting factors. 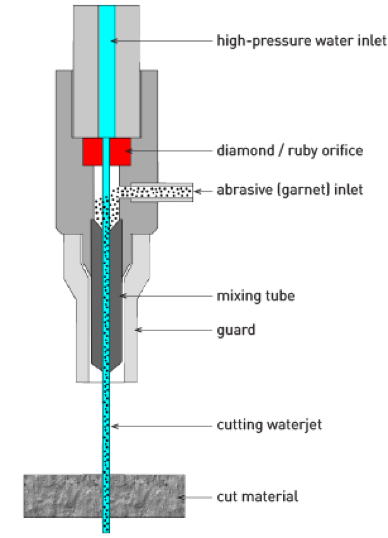 As you can guess, this process puts an enormous amount of wear on the nozzle but developments in material science and manufacturing has been able to produce extremely wear resistant materials for the nozzles mixing chamber (often some form of tungsten carbide) and orifice (often some form of diamond or ruby). This does not however eliminate the nozzle wear completely and over time it will start to reduce the accuracy of the jet. 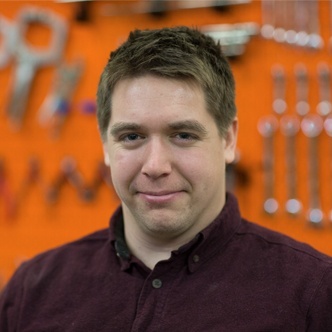 The rate of wear can depend on many factors but typically the orifice is replaced after 20-40 hours of active use, the nozzle 40-80 hours of active use. The water supplied to the intensifier is critical to waterjet cutting due to its direct influence on the service life of the equipment components such as check valves, seals and orifices. It is the concentration of Total Dissolved Solids (TDS) that causes accelerated wear of any components that it comes in contact with. 60-70 ppm of TDS is optimum along with a pH of 6-8. The water is treated to reduce the amount of TDS before being put through the waterjet machine. Water softening is one method where an ion exchange process removes scale forming minerals such as calcium. Another method is with deionization (DI) or reverse osmosis (RO) equipment. Generally, DI or RO provides better component life than water softening. The most common type of abrasive used in waterjet cutting is red garnet. Garnet is fairly hard and when it fractures it forms sharp edges, both of which are advantages in waterjet cutting. Garnet is also relatively chemically inert and won’t react with materials being cut, making it easy to dispose. 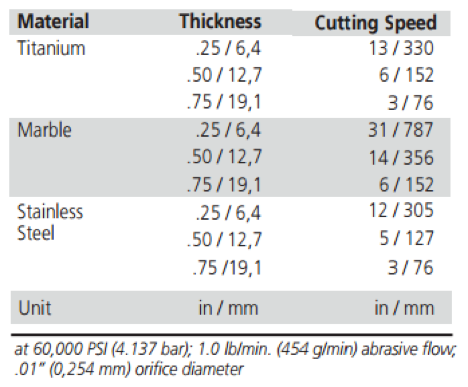 Other abrasive types can used to save on cost. For example, for aluminum you can use a softer abrasive such as olivine. The advantage of using a softer abrasive is that it reduces wear on the mixing tube. The particle size of the abrasive material is measured by its mesh number, a conversion table for which can be found here: Particle Size Conversion Table. For maximum cutting speeds, a coarser abrasive is used, such as a No. 60 mesh or No. 80 mesh. For a smoother surface finish a finer abrasive is used, such as a No. 100, 120, or 150 mesh. The No. 80 mesh abrasive is the most popular and most nozzle manufacturers spec their equipment for this grain size, however as the mesh size gets finer the more prone to clogging the nozzle becomes. Similarly, this occurs if the mesh size gets too course as well. 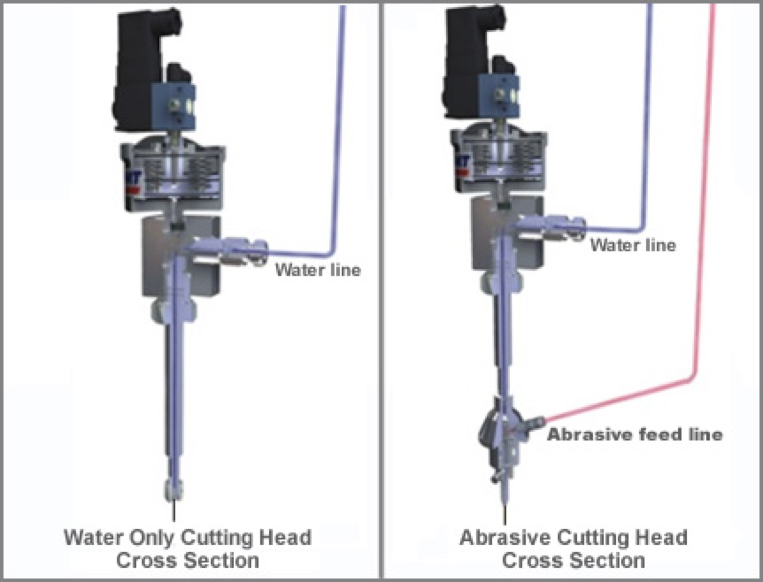 The motion control system is a fairly important element of the system as the cutting stream bends as it cuts. This means that a waterjet tends to undercut corners and swing wide on curves. These days computer models predict the motion and shape of the cutting stream and compensate. The result is a fast, accurate part the first time with no need for trial and error. 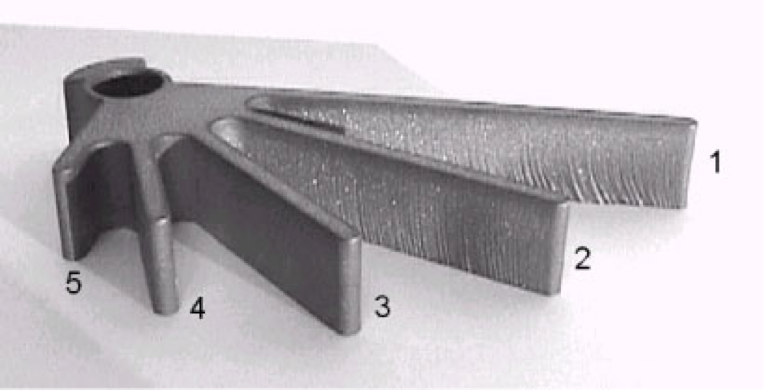 In waterjet cutting, the edge quality is usually defined as Q1, 2, 3, 4 or 5. Q1 is the fastest cut and is used primarily for material separation and the production of near net shapes for secondary machining. Then depending on edge finish requirements, slower cutting speeds of Q2 through Q5 are used, which also increases the cost. The edge quality me be determined for something as simple as aesthetics but parts requiring close tolerance geometry will of course require smoother edge finishes. Simultaneously, by programing variable speeds into the job, a part can have multiple finishes so you can have quality where you need it and a rough finish where it’s not, to save on costs for large parts. Stay tuned for more on waterjet cutting!